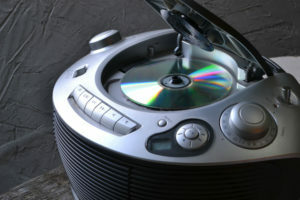 Remember the days when music was delivered through vinyl, cassettes, and CDs? If you don’t, either you are too old with memory lapses or too young to be bothered with old-school media. In this day and age, streaming music is a way of life. Yes, we have eradicated the need to lug around a bulky cassette player or a vintage turntable. 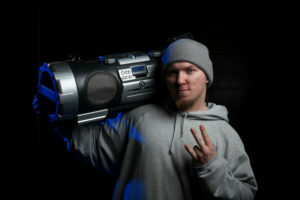 Now, for music aficionados who still value sound quality, choosing the best portable boombox for everyday use is vital. 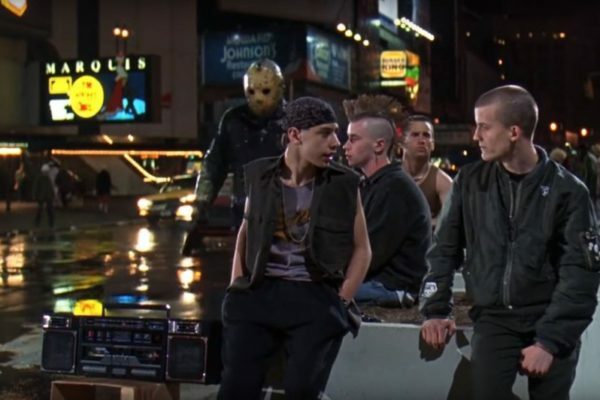 The thing is, there are a lot of available boombox options depending on the size, style, and function. 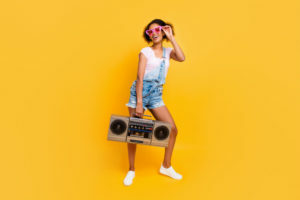 It can get pretty confusing to pick just one, but these three products under review are among the best portable boombox available in the market. Read along to determine which one suits your preference and lifestyle. First up is the Sony Bluetooth and NFC MP3 CD/CD-RW Mega Bass Stereo Boombox. 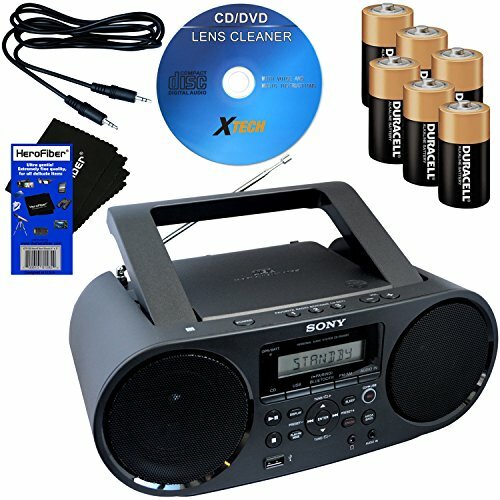 This product is part of a bundle that includes six batteries, a CD lens cleaner, a cleaning cloth and an auxiliary cable. Capable of streaming music through Bluetooth, playing compact discs, or just tuning in through AM or FM radio—this product is the complete package. This stereo boombox is great for listening to music whether it is rock, mellow or jazz as it boasts great Sony-sound quality. On the other hand, if playing CDs are not your thing, then you can still plug in your iPhone, iPod or MP3 player to listen to music. In fact, it easily pairs with your device so that you can start streaming music in no time. However, one of the disadvantages of this product is it needs six batteries to function or requires to be plugged into a power source, making it quite bulky. This can be quite a hassle especially if you are conscious of weight and portability. 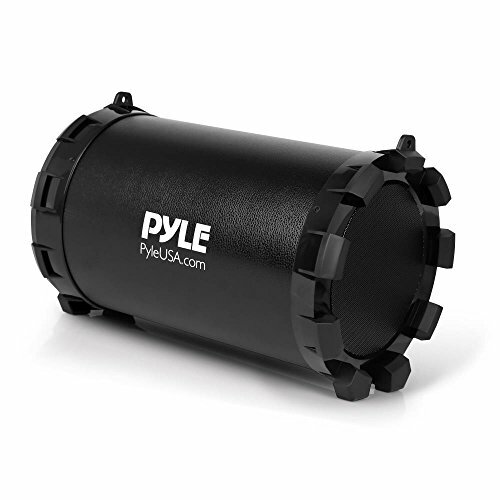 When it comes to portability, the Pyle Portable Speaker is on top of our list. With its compact design, this speaker packs a punch. It has a ported enclosure design that produces an outstanding bass sound, which is something unexpected from a speaker of such a small size. Aside from the terrific sound quality, this product is armed with hi-power audio which includes dual, two-inch mid-ranges and a four-inch subwoofer. Also, this product comes with all the latest features such as a Bluetooth capability that has a wireless range of up to 30 feet. It also has premium components including a central control button, an easy bass setting, a digital sound amplifier and an FM radio. 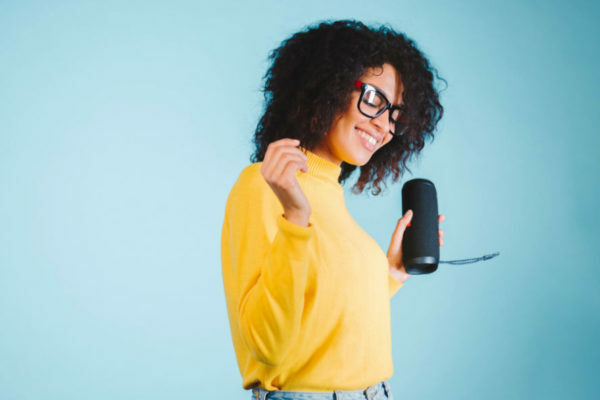 Additionally, if you are keen on streaming music, the Pyle portable speaker is also equipped with a USB flash drive, an Aux input jack, and an SD memory card reader. Hence, you’ll never need to part with your favorite playlist as you can play music whenever you want to. Overall, we can say that this product is perfect for people on the go, like travelers or just about anyone who values quality sound without compromising portability. 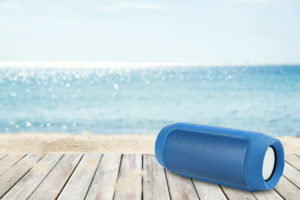 Last on our list is the SereneLife Portable Speaker. 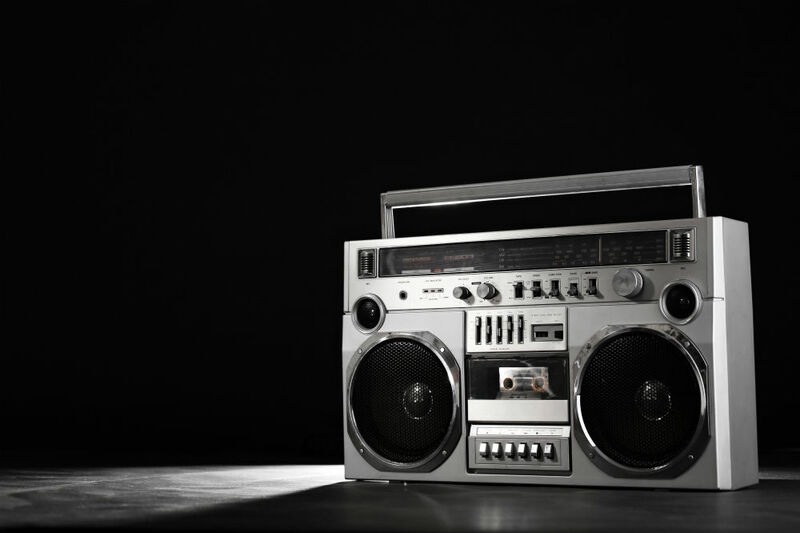 If style and size are your primary concern, then this boombox will keep you impressed. Designed to be lightweight and durable, this speaker features a rugged ported enclosure, making it easy to bring anywhere. It also comes with a detachable carry-on strap for easy handling and usage. This product comes with a range of features including Bluetooth for easy connectivity and music streaming ability. Likewise, it is easy to connect your smartphone, iPhone, tablet or laptop whether via Bluetooth or through auxiliary inputs. Thus, it is perfect to bring to a party or even just for regular home use as it provides a remarkable bass sound. Further, it also comes with a digital screen that has a range of buttons including on and off, play or stop, previous or next, and FM. Based on the facts given above, the SereneLife Portable Wireless Bluetooth Boombox Stereo Speaker can be considered as the best amongst the three. It is convenient to use and can easily be carried around since it has a low weight. Likewise, it also has the longest wireless range and battery life, making it possible for you to play and stream music anytime and anywhere. 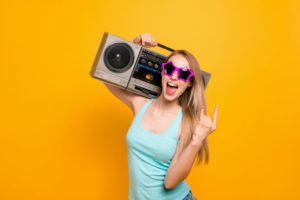 However, if you want a multifunctional boombox, the Sony Bluetooth and NFC (Near Field Communications) MP3 CD/CD-RW Mega Bass Stereo Boombox will be your best pick. 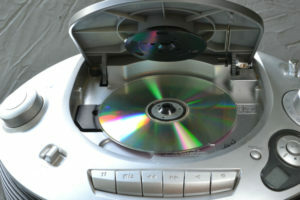 That is because it can play music from the radio and CD, as well as can stream music from your Bluetooth-enabled devices. Double-check compatibility with your device. As you know, almost all products in the market are compatible. Still, it is worth checking that your music and audio apps are supported. A quick check before you purchase is recommended. Even if you go with portability, that doesn't mean you should compromise durability. All buyers want something that would last for a very long time and not just for a few uses. With that in regard, it is important to compare and contrast the different designs. 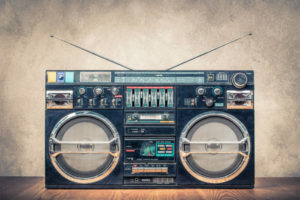 That concludes our guide to the different boombox products available in the market. Yes, knowing is half the battle, but now that you are equipped with information, go out there and pick yourself the best one.